In a journey started 27 years ago, Steel Pool Cantieri designs and manufactures in Italy and abroad metal claddings and architectural facades for residential, commercial and industrial buildings, as well as the main and secondary structures to support them. Opening to the foreign market: the company acquires three important projects in Lebanon. For the engineering and architectural development of the projects, Steel Pool Cantieri implements the Design Division by activating strategic partnerships, as a response to the greater complexity of contemporary architecture. Steel Pool moves to the Villa Selva plant in Forli and at the same time consolidates the design and construction of metal claddings that become the company's core business: the Steel Pool Cantieri is born. 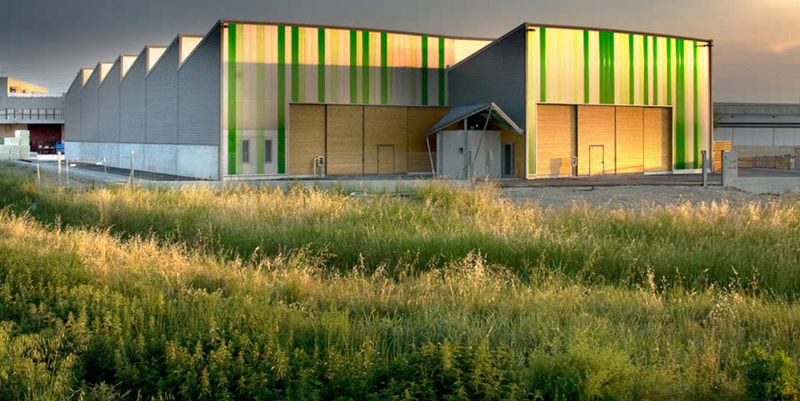 Steel Pool is founded in San Lorenzo in Noceto, Forli, and operates in the field of roofing and facade coverings, dealing with the sale of materials, design and installation. Our structure consists of a competent and dynamic management, a qualified technical staff and experienced and specialized personnel in the execution of the poses. With this team of high technical value, STEEL POOL CANTIERI guarantees reliable solutions and installations well-thought-out to last over time, personalized and flexible services, provides active assistance to companies and design firms to identify the best technology to be applied to each project. STEEL POOL CANTIERI deals with structural components in metal and wood, roofing and cladding for architectural façades in residential and industrial buildings, realizations with various types of materials such as, for example: Tecu® copper, Rheinzink® titanium zinc and VM Zinc ®, Prefa® and Kalzip® aluminum, in addition to stainless steel, waved and corrugated trapezoidal metal sheets, expanded mesh, perforated sheets (according to customized motivs), sandwich panels and others. Wide use of metallic and wooden structural elements (often interconnected). Widespread use of dry construction systems. Large use of innovative materials and products for claddings. Steel Pool Cantieri has ISO 9001 quality certification and SOA certification for categories OS6, OS7, OS33, as a formal recognition of the value of the projects realized, as well as to participate in public and private tenders that require those certifications. In addition, the quality of Steel Pool Cantieri is recognized by the certificate of 5 stars installer, the maximum, issued to its operators by all major manufacturers of applied metals, such as zinc titanium Rheinzink and VM Zinc, aluminum Kalzip or Prefa, TECU copper.